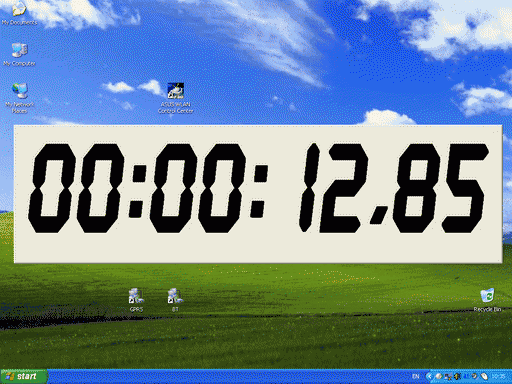 XNote Timer is a simple countdown timer and stopwatch software. The program can use two modes: a count-up method to measure time intervals and count-down mode to work as an alarm. The alarm can launch any application or play audio files from a variety of formats (mp3, wav, midi, etc). The interface is a large, re-sizable view, ideal for either public presentations or a small icon. Global hotkeys are available to start/stop/reset. Note: in the website link, scroll down to bottom for more data on the program. How to extract: Download the EXE to a folder of your choice. Launch xntimer.exe. gms9810, XNote Stopwatch IS nagware, but a different product. Is that maybe the one you downloaded?